And just like that 2017 appeared! We ring in the new year with a first of its kind, a penjing exhibition in Africa with 50 trees currently on display in the Puff Adder. 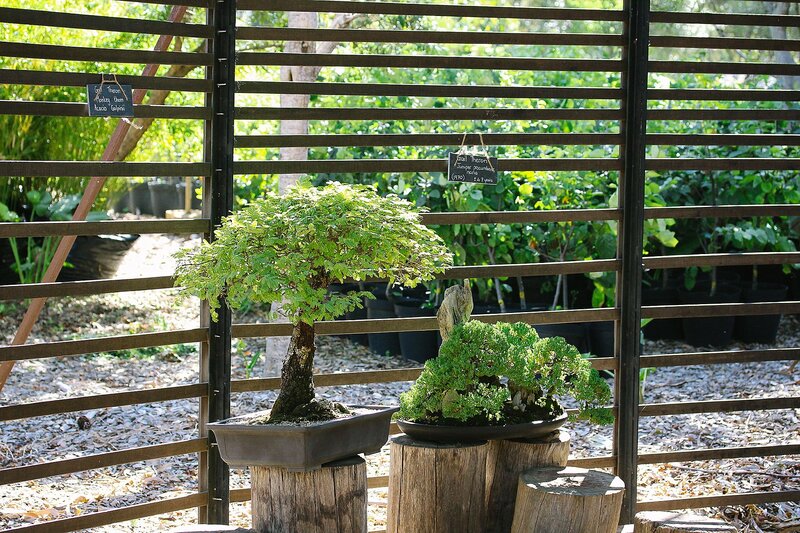 These miniature sculptured trees all live in containers and are on loan from generous bonsai artists, with the oldest tree a whopping 80 years of age. Willem Pretorius, the president of the South African Bonsai Association, kindly put up the display for us, getting old masters like Rudi Adam and Gail Theron as well as the newbies Freddie Bisschoff and Stephen le Roux on board. What makes this collaboration extra special is that 2017 marks 80 years of bonsai in South Africa, so don’t miss it. Even if you’re no Edward Scissorhands yourself, you can still visit and admire the artistry of creating these living art pieces. Willem tells us more about the exhibition and the history of bonsai in South Africa. Bet you didn’t know that we have our very own style of bonsai, recognised in the East! Penjing? In short you may call it Chinese bonsai, but it is so much more! Bonsai started 3 000 years ago in China and not – like many people think – in Japan. What I like about penjing is that it conforms to my idea of what bonsai should be, allowing more wildness and freedom when designing trees. I travelled to China to study penjing and noticed two distinct differences from bonsai. I was amazed at the size of their trees and the way they presented it. Where I noticed in Japan that they normally display a single tree of a certain size, I saw a completely different art form in China. In Japan one stands amazed at the technical perfection of trees on display, but in China there’s a natural freedom and creativity that really spoke to me. After doing bonsai for so long, I suddenly felt Chinese! Our indigenous trees are wild and free and the creative and natural freedom the Chinese brought to the art touched me. 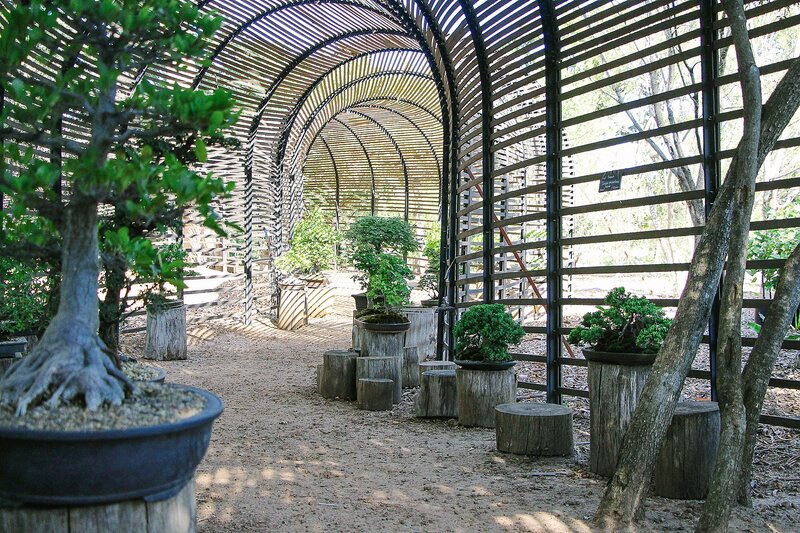 In the Puff Adder you will see Africa’s take on penjing, with our beautiful Pierneef-style the most prominent. There is also a swamp cypress by Rudi Adam that I will walk a hundred miles for. 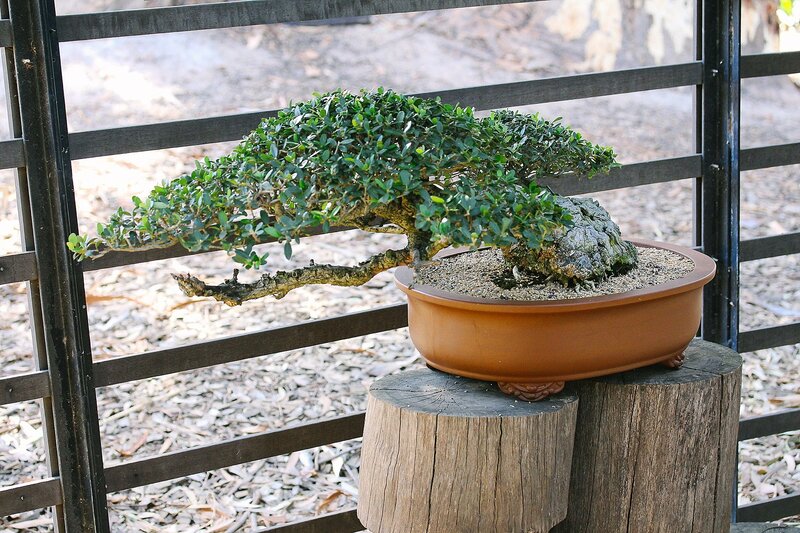 Not many people know that we have a very rich tradition of growing artistic trees in pots in South Africa and that we have developed our own African style of bonsai-penjing that is recognised in the East. We were also one of the first countries outside Asia that started growing our own bonsai using indigenous material, rather than only importing them from the East. As usual, we have the north/south divide in this wonderful art form. In the Western Cape, we had the mother of bonsai in South Africa, Becky Lucas, who learned her trade in Japan and on her return started numerous clubs across South Africa. But in the northern parts, in Johannesburg, a Chinese gentleman by the name of Dr Stephen Tim started teaching people the art. It can be assumed that the Chinese influence in the north was therefore much more prominent and they did more penjing than bonsai. But the most important is that we are reviving an old tradition in Africa with our own take on it. There is a beauty to the wide open African plains and savannahs where giraffe and elephant roam and we “bonsai” our trees from the top whilst the antelope prune them from the bottom to give them their unique forms and shapes. 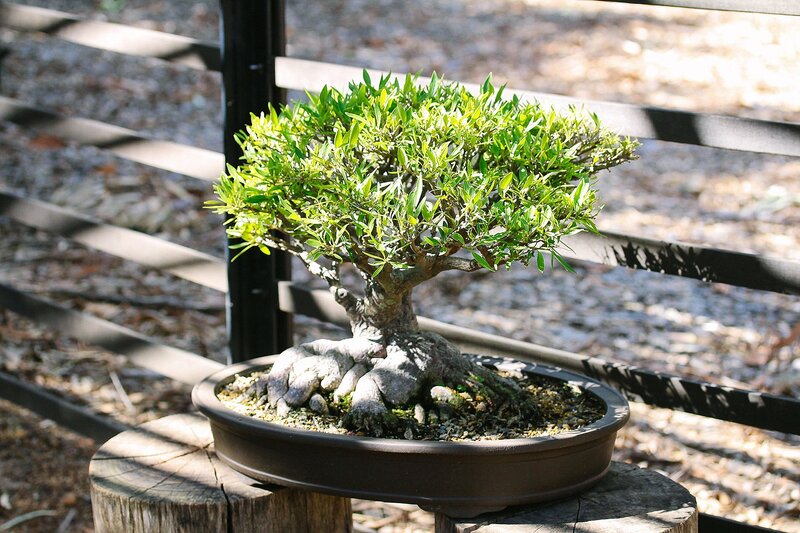 In South Africa, we have made bonsai-penjing that are more naturalistic than the styles and forms we find in Europe and the East. We have made an Eastern art into an African one and I am proud of what has been achieved. 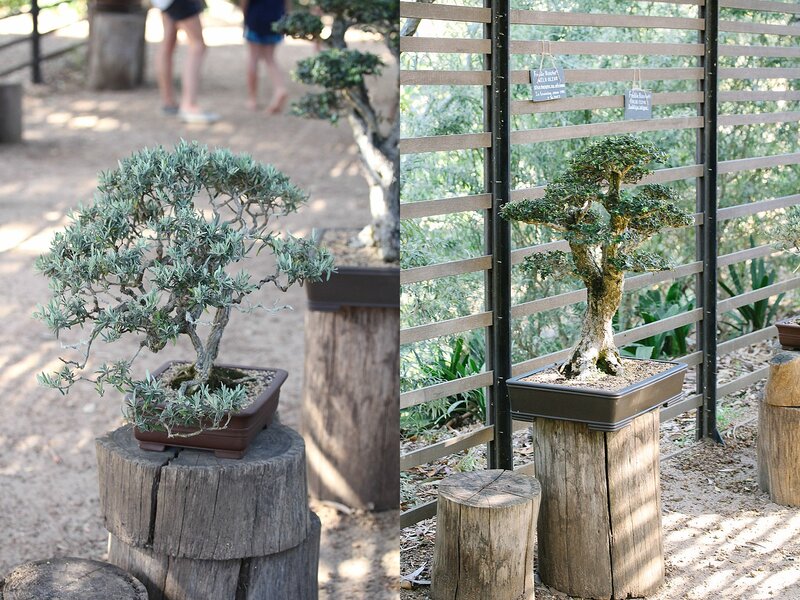 The bonsai trees will be on display in the Puff Adder only till the end of January. The garden is open from 9h00 to 17h00, entrance R10 on weekdays and R20 over weekends and on public holidays (payable at the gate).